YesSongs is a true-to-form tribute band to the music of YES, spanning the more popular recordings of their illustrious career from the 70’, 80’s and 90s. 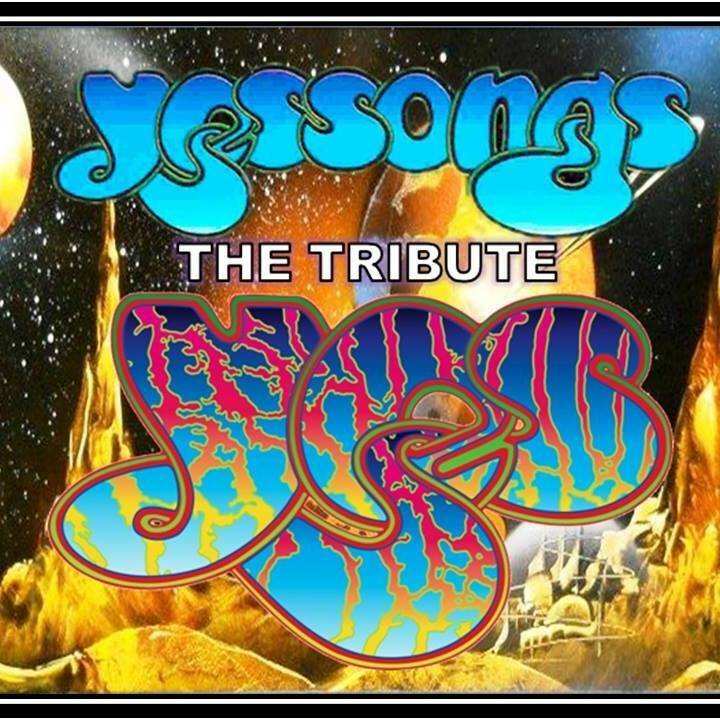 The musicians from YesSongs perform a show that truly replicates the details of studio versions of YES in a multi-media presentation that will positively satisfy main-stream as well as die-hard YES fans. As the premier Hall-of-Fame pioneers of progressive rock, YES has achieved worldwide success with a history spanning 47 years and 21 studio albums. YesSongs rings true as being “Close to the Edge” of YES. COME BY FOR THE PRE-SHOW ROCK CLASSICS VIDEOS LIVE WITH JOHN ULETT FROM K-SHE95. Doors open at 6:30, with video's starting at 7pm.